The trick is not necessarily to eat less, but rather to eat sensibly. Diets low in fats and sugars will help the body not only to maintain its ideal weight but also to protect it against such conditions as heart disease and cancer, and for that reason are part of the recommended diet of the cancer and heart disease agencies. Their further recommendation to increase fruit and vegetable intakes will help to provide the vitamins, and minerals. The vitamins will boost both the nervous and immune systems. Complex carbohydrates such as legumes, wholemeal pastas, brown rice, and potatoes are major importance in weight control and provide slow-release energy for the body's needs. ➲Eat a good breakfast, including unrefined cereals. 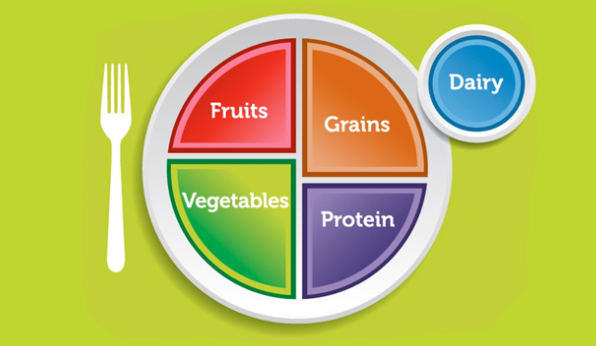 ➲As far as possible remove empty and refined calories from the diet. ➲Use brown rice rather than white rice. ➲Use wholewheat bread rather than white bread (even though enriched). milk and dairy products (where milk is used try skimmed milk or switch to soya milk). Use non-fattening spreads in small quantities to replace margarine/butter. ➲Use at most two eggs a week. ➲Eat a light fruit supper or none at all. A selection of the right foods will provide all-round health benefits and an ideal weight. Balanced with exercise, which provides the extra oxygen, weight and fitness levels will soon contribute to a fine sense of well-being.